I received the most beautiful package today from Bumble Shuffle! I ordered a cute wreath and Claire was kind enough to include a couple of extras for me which was a pleasant surprise. I ordered this cute sparkly wreath to hang in my house as I have lots of pink floral accessories - it matches perfectly. It's so gorgeous and super sparkly in person, the roses are secured really well onto the ribbon too. 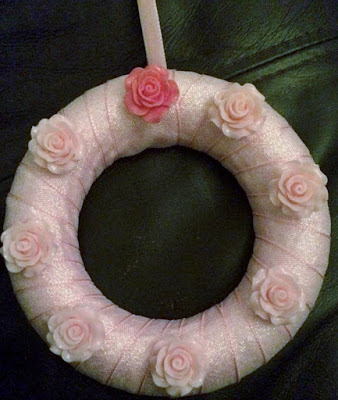 Overall, I'm definitely pleased with this wreath - it's very pretty and well made. These bracelets are the little extras that were included with my order. 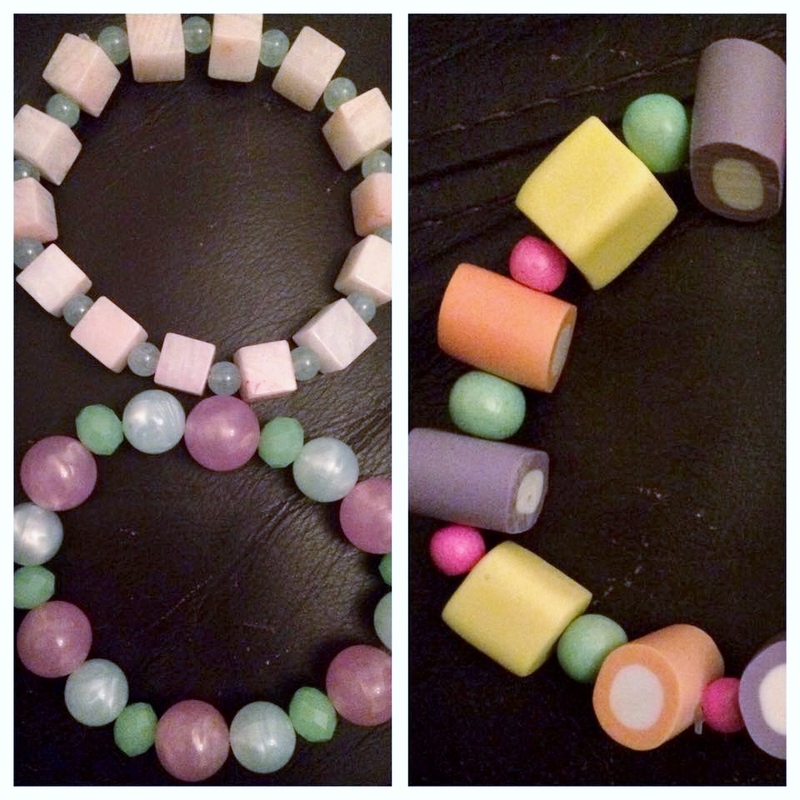 The beads remind me of sweets, the dolly mix one is particularly cute. All three bracelets are so adorable I love them! Check out Bumble Shuffle here.